WASHINGTON, D.C., (April 11, 2012) -- The Board of Directors of the National Association of Black Journalists (NABJ) selected Allissa Richardson, an assistant professor of communication studies and coordinator of the journalism program at Morgan State University, as Journalism Educator of the Year at its winter meeting. Richardson will join other top honorees in New Orleans during NABJ's 37th Annual Convention and Career Fair, the largest annual gathering of minority journalists in the country. Richardson is an award-winning journalist who empowers her students to tell stories and speak truth to power using new media. Most recently, the Knight Foundation's Institute for Interactive Journalism awarded her a $25,000 grant to create a cutting-edge mobile journalism (MOJO) lab at the university. All MOJO students are learning to report using only Apple iPhones and iPads. Richardson has also authored two ebooks: "Facebook for College Professors" and "Twitter for College Professors." "Professor Richardson is cutting-edge in her approach, and she challenges her students to embrace new technologies in their reporting, while still teaching them the traditional principles of our profession. 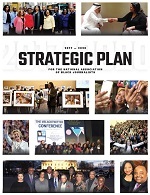 Together, those are the skills that will help her students to be newsroom leaders," NABJ President Gregory Lee Jr. said. "Professor Richardson exemplifies the very best in journalism education and we are proud to honor her as one of our own." Richardson has appeared on NPR twice to discuss her project. She also created a traveling iPod storytelling workshop series for Slavery by Another Name, a PBS documentary film that aired nationally in February. Richardson toured the country to offer professional-development workshops to educators, teaching them how to use the sounds and sights from the film to make multimedia slideshows using only the iPod. Additionally, Richardson has taught her unique brand of iPod journalism to students in nearly a dozen cities in Africa. In June 2011, she traveled to South Africa to teach 10 HIV-positive girls how to report using the iPod. Later that year, she was invited to train 40 Muslim girls in Morocco these valuable skills. "I would like to thank the National Association of Black Journalists for honoring me with this award. I believe journalism carried out with mobile devices will continue to gain momentum all around the world. 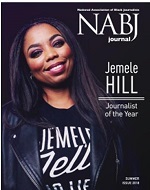 I appreciate NABJ's support as I endeavor to provide cutting-edge training to some of the world's brightest student journalists," said Richardson. Richardson's work has appeared in O, The Oprah Magazine, the Examiner newspaper, and on Baltimoresun.com. She earned the Weinstein-Luby Outstanding Young Journalist Award in 2002, and the Freedom Forum's Chips Quinn Scholars award that same year. Professor Richardson holds a Bachelor of Science degree in Biology from Xavier University in Louisiana and a Master of Science degree in Journalism from Northwestern University's Medill School.